It’s hot, it’s glam, it’s tropical – whether you’re sunbathing on the beach, sipping frozen margaritas in a bar, lounging poolside, meandering across the sand, admiring the six packs (and we don’t mean the Bintangs) riding the waves, you need to look the part. But what to wear? We suggest our top five essential pieces for a fabulous sun-kissed holiday. The essential Bali footwear and you can jazz them up or wear basic thongs from the local Seminyak market. 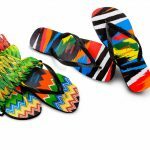 We suggest the ubiquitous Brazilian Havianas, they come in all sorts of patterns, colours and now with a wedge too. Skip over to the outlet Haviana shop on Sunset, there is often an offer on. Or if you want to wear something smarter for dinner, try Magali Pascal who designs beautiful leather thongs that will complete any outfit. 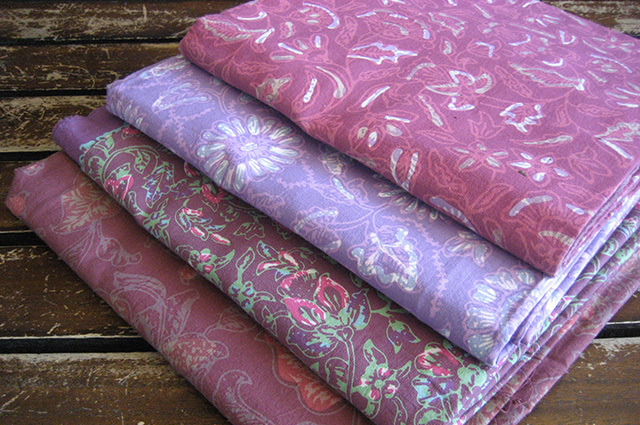 Indonesia is famous for its Batiq designed fabric. Batik is a timeless Indonesian art form where an exquisite motif is hand drawn onto a length of fabric in hot wax and then dyed. LataLiana provides all their guests with their own beautiful Batiq sarong which is perfect for the beach, sunbathing by your private pool or dress it up for a lunch date or cocktails. Many beach sellers offer Balinese sarongs, you can pick one up for 80,000 IDR or go to Lucy’s Batiq in Seminyak where there is a massive selection of cotton sarongs as well as kimonos, wall hangings and other tokens that make perfect gifts or souvenirs for friends and loved ones. Don’t leave home without a hat. The sun can be super strong and it is important to protect your head. Pick a straw one with a big brim at the local shops along Basankasa or even at the local supermarket Bintang which has a huge selection of straw hats and caps. Blue Glue has a fabulous range of bikinis, choose from colourful fabrics to crochet designs. There is something for everyone. Funky, cool and you will definitely stand out in one of their creations. Keep it light, keep it fun and keep it flirty. Bali is a haven for creative and original designs. Choose from Biasa boutique who stock unique pieces incorporating light quality cotton, linen and silk all created by founding designer Susanna Perini, Lulu Jasmine who stocks beautifully hand made creations in limited editions and Buddha Wear for light easy to wear fabrics .